Miranda Lambert To Perform At 2019 Fair! Home › Latest News › Miranda Lambert To Perform At 2019 Fair! 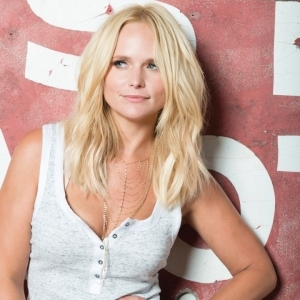 (PASO ROBLES, CA) – The California Mid-State Fair is pleased to announce that country music superstar Miranda Lambert has been confirmed to perform in concert on Wednesday, July 17 at 7:30 pm. An opening act will be announced at a later date. Lambert’s concert will take place in the Chumash Grandstand Arena at the Paso Robles Event Center. This will be her first performance in the Chumash Grandstand Arena at the California Mid-State Fair. Ticket prices for the show are $41, $56, $91, and $116 and will go on sale Friday, February 15, 2019. Tickets will be available starting at 10:00 am online at www.MidStateFair.com or by calling 1-800-909-FAIR (3247), and at 1:00 pm at the California Mid-State Fair box office located at 2198 Riverside Avenue in Paso Robles. Lambert has won multiple ACM, CMA, and GRAMMY awards. In April 2018 she was named ACM Female Vocalist of the Year for the ninth consecutive year, surpassing Reba McEntire as the most awarded in the category. In November 2016 she released her ambitious, 24-song, double-album titled The Weight of These Wings. It debuted at #1 on the Billboard Country Albums chart and has since been certified platinum by the Recording Industry Association of America. In fact, all seven of her studio albums have been certified platinum. She is best known for her #1 hits “Automatic”, “Vice”, “Mama’s Broken Heart”, “The House That Built Me”, “White Liar”, “Heart Like Mine”, and “Over You”.